Wood of Light is a project created by Osvaldo Indriolo which was born in 2004 after meeting the drummer Martino Vittori (2004 – 2009). The goal has always been to propose progressive metal music far from the sounds and compositional choices typical of the genre and, even if ambitious, original. 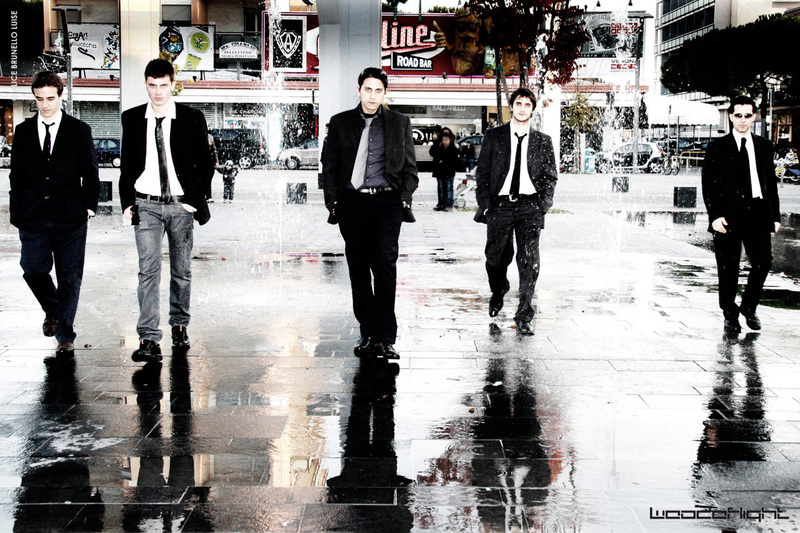 The band first saw the collaboration of guitarist Paolo Zigoni (March – October 2005), and then it defined itself with the arrival of the bassist Damiano De Marchi and the guitarist Mirco Brunello in the spring of 2006. They compose the songs contained in the EP “Materioteca 07“, which are then vocally defined by the frontman Paolo Guerra (2007 – 2009), former leader of the “Fallen Lord“, heavy metal band from which also came Martino Vittori. The EP, self produced and distributed for free in digital format since March 2008, drew the attention of Nomadism Records, which chooses three songs for the underground compilation “United Artists Against Music Piracy” (2009), and also of the young label Bunker Productions, which will include the track “Sawll” in the compilation “Bunker Files 00” (October 2008). 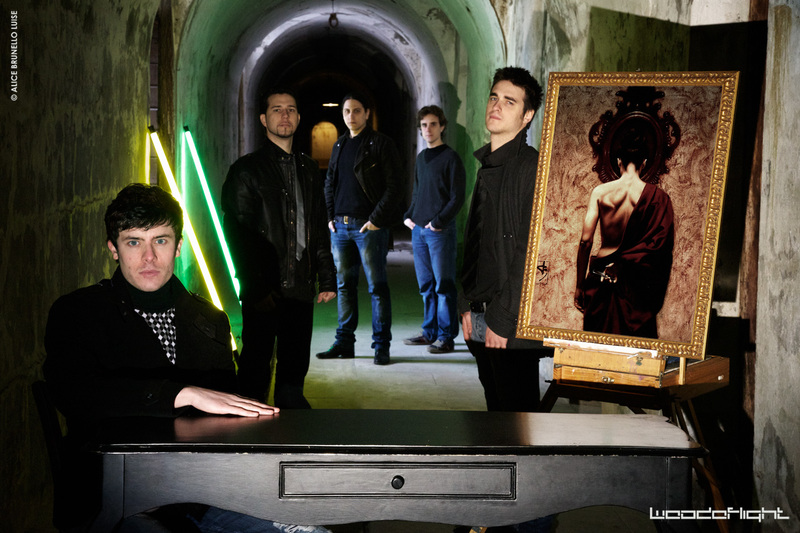 Wood of Light sign a record contract with Bunker Productions, and publish the EP “Materioteca 08” (April 2009), which received an unexpected success from the critics and presents the band as an “interesting reality in Italian progressive music scene“. Despite the excellent results obtained, the frontman Paolo Guerra and drummer Martino Vittori decided to quit their collaboration: Paolo has taken this decision for a general lack of professional interest related to the Band, Martino Vittori has realized that he has lost his artistic involvement, heading towards jazz style. After the end of the promotional shows “Materioteca 08”, a new age began for Wood of Light with the arrival of the singer Simone Colman and the drummer Davide Schimd in October 2009, with whom the drafting of an album begins. The following month they signed a contract with Management Alkemist Fanatix Europe that will launch a licenses campaign aimed to find producers and record labels interested in the new LP. After than two years of composition, the Wood of Light signed a production contract with Frank Andiver, drummer and founder of Labyrinth and Wonderland Bands, and the label Lost Sound Records, trademark of Poci One Srl. In the month of April 2011, Wood of Light entered Zenith Studio in Lucca to recording Feelikescapiang, a concept album, linked by the theme of “will of escaping” (check the video “Making of Feelikescaping“). The album was mastered in June of the same year at Finnvox Studios and the artwork’s work summarizes the concept thanks to the collaboration with the artist Saturno Buttò, who kindly accord to use of the Work “Figura di spalle con rasoio”, giving an added value to the discographic product. The release of “Feelikescaping” suffered continuous delays and some improper behavior against the Band have resulted in the breakdown of the partnership between the Wood of Light and their managment Alkemist Fanatix Europe. Nevertheless, on September 6, 2012 Feelikescaping was published on worldwide both physically and through digital channels: the work was greatly appreciated by the public and the press and the magazine Prog Metal Zone said “one of our favorite albums from 2012“. In this period, Wood of Light supported live events with other Progressive Bands and Artists such as Twinspirits, Ashent and Arthur Falcone and begin the writing of a new LP (scheduled for 2017). Meanwhile, Osvaldo Indriolo and Mirco Brunello are involved into the Avant-Garde project Give Us Barabba, while Simone Colman and Davide Schimd begin their studies at the Conservatory of Cuneo and Adria (now positively concluded). Today Simone Colman is a singing teacher in various music Schools of northen Italy. Mirco Brunello has completed their studies at the Accademia del Suono in Milan and, in the summer of 2015, he opened the music School MusicAlive based in Mestre (Venice). Because of these commitments and for explicit choice of the band, the live performances have been deliberately ceased. Now, up to future decisions, the Wood of Light is to be intended only studio project. Created by Osvaldo Indriolo and Martino Vittori, the name “Wood of Light” is an example of the contrast between immanence and manifestation, between being and appearance, and it is generated by this distinction. This generative path in a first moment includes the will not to fall on canonical lexemes that recall “epic” or obviously “metaphysical” or simply “violent” objects and subjects. There is no intention to seek the consent of the classic or potential metal fans. Here is a name that projects in a much more “positive”, contradictory yet complementary context: “Wood of Light” is to be interpreted as a “ray of light that comes and stands in a traditionally dark place (the wood)”. There is therefore a comprehensible system of oppositions where “Wood”, to adopt a structuralist philosophy, has a deep meaning and less superficial than it seems: the wood is life, nature, silence, wild and untouched, mysterious, disturbing place… “Light” wants to give the opportunity to watch these meanings in a different “light” by any deixis. In a tangible way, this is the fil rouge that we have composed: a musical event that recalls situations and scenarios to which the listener gives an interpretation, a way to read the contents of each song to make it our own and evoke feelings and emotions in it. The term “Materioteca” refers to that archive technology that offers itself as an instrument of knowledge and information dissemination. More easily, it is a museum, a collection of materials of all kinds. This is the concept of two EPs, a collection, a sample of our most significant material, a demonstration of what they are and what are the potentials of Wood of Light and their growth over the years.